Nolan is cute, right? RIGHT! Happy two days off, everyone! OK you’re probably at work, but you probably had the weekend off, too, so I don’t feel bad for you. I worked all weekend and now I am relishing in my two days off while the rest of the world is presumably at work. Other than lunch with two of my four New York friends and homework and class tomorrow evening and one apartment to look at, I am blissfully free to do whatever the heck I want. 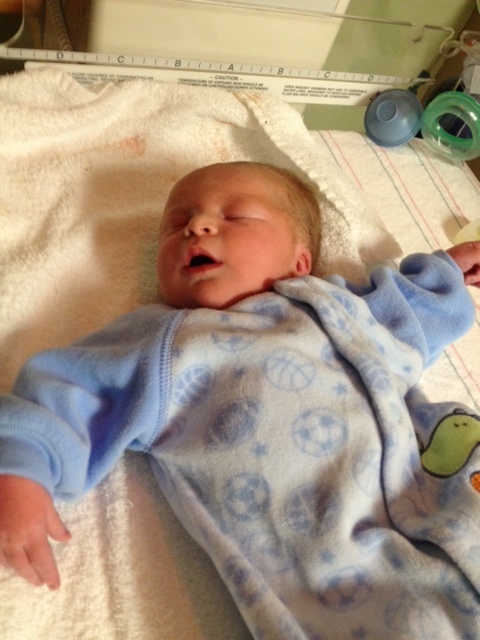 So far, I’ve lazed in bed, starring at pictures of my 2-day-old nephew, Nolan and mindlessly web surfing. I’ll probably go for a run. I’d better do some grocery shopping. Maybe I’ll visit a museum, take the Chelsea Market tour or a nice walk in the park. Or I’ll just rent a movie followed by a nap after lunch.